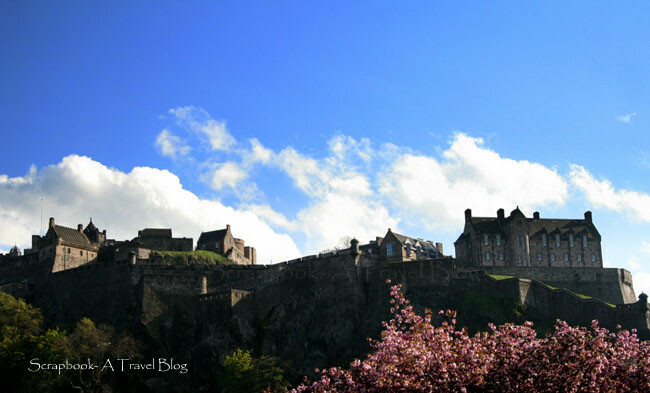 Edinburgh- the capital city of Scotland is one of the most picturesque cities in Europe. Skyline here is full of medieval buildings and the city gets a unusual unique look because of the hills formed by the ancient volcano in the middle of the city and the castles, the important buildings and the monuments built on them. Taking a stroll on the streets lined with medieval buildings was like Time Travel :) I visited most of the attractions, but most of them are either museums, war memorials and castles. The Holyroodhouse Palace- The Queen's official residence in Scotland. Situated at the other end of the Royal Mile, the Palace of Holyroodhouse was residence of Mary, the Queen of Scots. 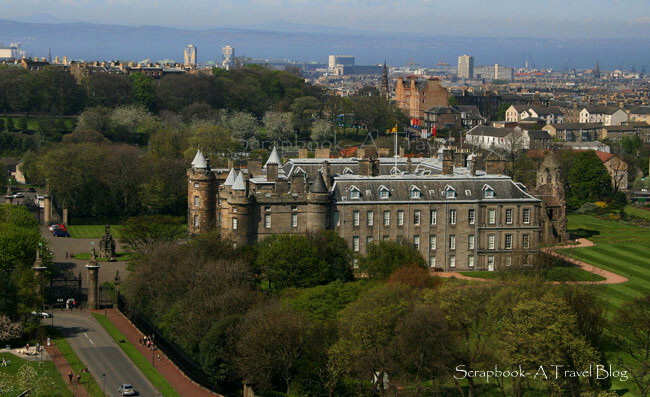 Successive kings and queens have made the Palace of Holyroodhouse the premier royal residence in Scotland. Today, the Palace is the setting for State ceremonies and official entertaining. When I was there the palace was not accessible for visitors. So, I ended up visiting the gallery which is a part of the palace. Queen’s Gallery, part of the palace, it displays changing exhibitions of royal collection. But, it is only one floor with few paintings on display and entrance fee is 5GBP, very pricy. The one floor gallery displayed few beautiful portraits of royal folks and Michelangelo’s sketches. Royal Mile- As the name suggests, the Royal Mile is approximately one Scottish mile long, and connects the Edinburgh castle atop the castle rock with Palace of Holyroodhouse. Probably the oldest street in Edinburgh, visitors find historic and interesting buildings here all along the way. 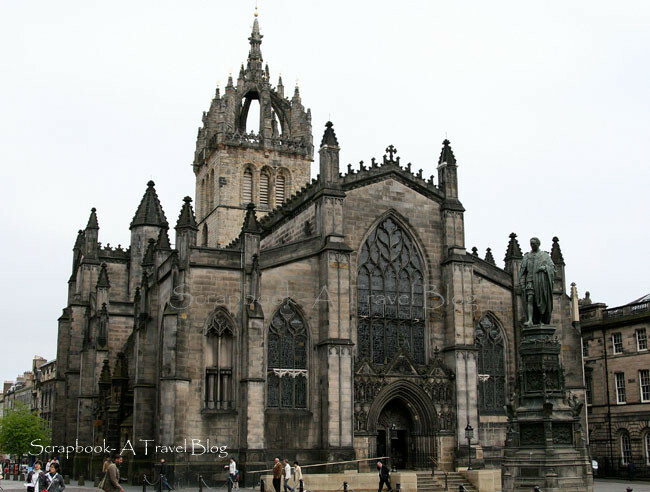 Being most dominant building on the Royal mile, Giles' Cathedral is a beautiful structure and is an important religious place of Edinburgh. 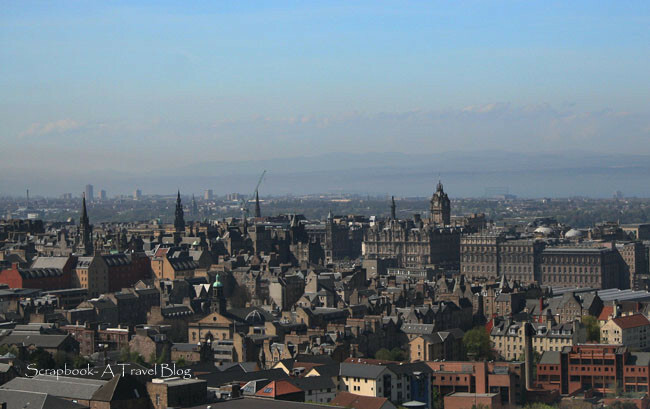 Its beautiful crown stands high and is an important feature of the Edinburgh skyline. When I went around Royal Mile on first day, there was a big wan belonged to a press was parked here. 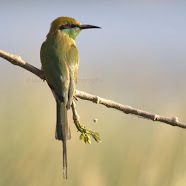 So, I went on another day to get this picture. Princes Street- one of the major streets in central Edinburgh, and a main shopping street. The view of Edinburgh Castle from here is great. In fact, there used to be a loch called Nor in the valley here along the street, which was drained and then converted into a garden and now is called as Princes Street Gardens. I strolled around this street many times over two days. Entered few shopping malls, tried different clothes too. I was looking for a cashmere sweater as Scotland cashmere is world famous. But, they seemed very expensive. Or may be I was looking in most expensive shops. :) I bought one for me and one foe my Dad, the cost was so much over the budget. Scott Monument on Princes street stands high as you see in the picture. 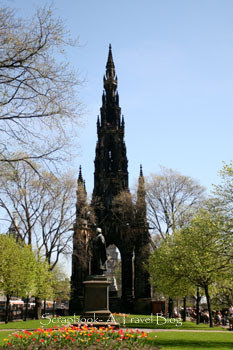 The monument was erected in the honor of a writer Sir Walter Scott. It is 200ft tall and is largest monument in the world dedicated to a writer. There are around 250+ steps to reach up to the tip of the tower! Arthur’s Seat- the 820ft peak that rises above the center of the city providing beautiful sweeping views of the city. Reached from the Holyroodhouse park, it is a nice easy short hike in the very touristy place! National Gallery of Scotland- Known to be one of the finest galleries in Britain. I am not making this statement because I have not seen any other galleries in Britain. But, it was very good indeed. Displays collection of Scottish and international art. Masterpieces from legendary artists including Monet are displayed in depth. There was a painting of Tipu Sultan (popularly known as Tiger of Mysore, India) taking his last breath defending his capital in the fourth Anglo-Mysore war. Again reminding me of Indian history in Edinburgh! 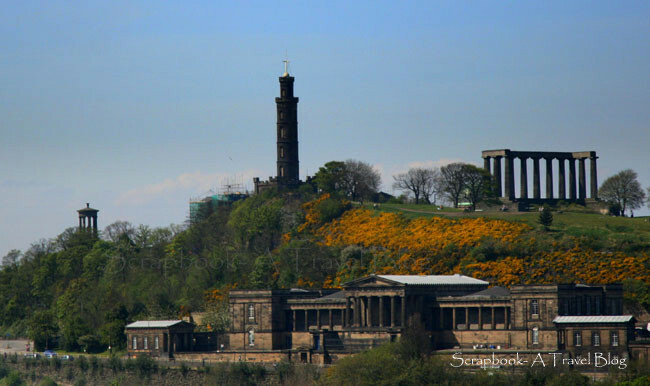 Calton Hill- in central Edinburgh, just to the east of the New town. It is seen from most part of the city. From the top of it the cityscape is spectacular. On the top of the hill there are several iconic monuments. The national Monument, Nelson's Monument and Dugald Stewart Monument. It is an historic and picturesque part of the city. Wow! Looking at those beautiful roofs is enough for me. 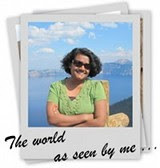 Kusum, I wish I could visit Edinburgh tomorrow. It looks so splendid. I remember my nursery rhyme book with similar images of cathedrals and castles and wonder when I will get to witness the place with my own little eyes.